A few months ago, when I was moving into a new apartment, I looked into different plants I could use to brighten up the space. After the florist assured me it was easy to maintain, I bought a potted tree and set it up next to the couch—only to find that it looked a lot shorter than I’d envisioned. Two weeks later, several of its leaves were already falling off, even though I was pretty sure I had followed the florist’s instructions. The tree is now sitting on the fire escape, where it gets a little more light but is now all but hidden from view. If you’re like me and could use a little help in the gardening department, Bloomscape may be the answer. 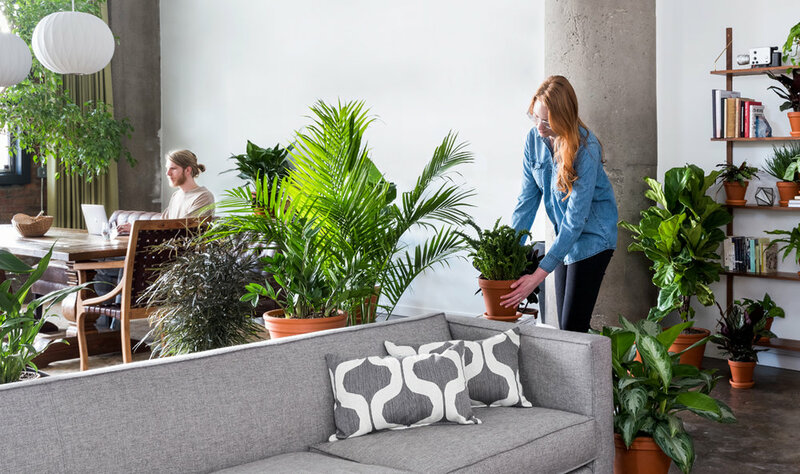 This new plant delivery company was founded by Justin Mast, who hails from a family of horticulturists, and the love of plants shows: alongside its fast delivery window—three to four days from the company’s greenhouse to your front door—Bloomscape offers expert advice on keeping your leafy babies happy and healthy. The website features a couple dozen varieties of plants—many of which I’ve never heard of before but look like pleasant additions to a living room or bedroom. Each is accompanied by a description of amount of light required and ease of growth, plus notes on pet-friendliness and air-cleaning properties. For the super-detailed, there’s even height and width dimensions so you can measure up how it will fit in your room. Once you’ve decided on a purchase, your new plant is shipped straight to your doorstep, pre-potted and ready to go. Summer is bringing plenty of green to the parks and gardens around us. There’s no reason you shouldn’t bring some of that color inside with a few Bloomscape plants of your own.